Please use the support button in the left column. LEAVE TEXT MESSAGE IN COMMENTS BELOW & please subscribe by using the link in the upper left column on home page or click on the pop-up follow button lower right. Dear brother Nicklas Arthur, I been following for the Last 2 years I would like to talk to you have a project that you may be interested I had been won some books and I want to work on some of you titles, when could I shave have a few minutes of your time to discuss o this and other subject that may be of mutual interest, thanks and the Lord bless you! I just listened to your talk on Matt 24 and appreciate such a clear explanation….on ‘these things’. “This generation (a time reference) shall not pass, till all these things be fulfilled.” ‘This generation’ would also indicate that “all these things” would reach their complete fulfillment within a relatively short period of time (this generation/a time reference) shall not pass until fulfillment. Based on the text, it appears to me that most people, then present, (this generation) would witness its fulfillment. The symbolic resurrection of the witnesses “after they have finished their testimony” would not be fixed at the end of the 1260 days, but before their ascendancy to the political heaven in the reformation continued line of witnesses, as their enemies watched from the earthly capital of Christendom, Rome – the type of Jerusalem, the Capital of the National Jewish church symbol. You mentioned in video Historicism Explained Pt. 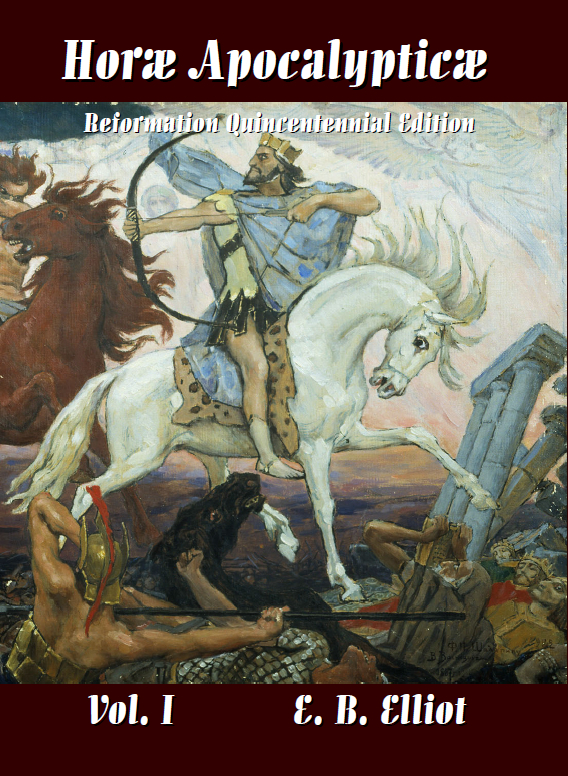 01, Defense of Reformed Eschatology. Using Historicism to show one day is one year. You can also use scriptures in Genesis 29:25-30. In this scripture shows how a week is seven years. So by simple math you can also show 1 day is one year. Hi. Doing research on the Jewish Calendar year and thoughts about a Millennial Week with a Millennial Sabbath at the end. Liked a lot of what you have to say. Thanks for the thoughts. In the end though as I pursue God, a deeper relationship with Him, and to shine like a star in a wicked and depraved generation I find that few people believe in the spiritual maturity that I believe God reveals in the Bible. That connection with Him would be a primary way to be protected from being deceived or giving into pressure in the last days. I believe that God shows us in the Bible that we can gauge how well we are abiding in Jesus by observing our performance. The worse our performance (obedience) is flawed the more that we should troubleshoot where our connection has weakened. I am concerned that I meet a growing number of people who admit that their performance is pretty flawed and yet they feel no need to do anything different to strengthen their connection to Jesus. They just keep going with very minor growth rather than real transformation. So, bringing it down to me. God has brought me far but when I check myself based upon Phil 2 and the book of James there is still a lot of transformation that needs to happen. When I read the end of John 17 I long to find a community like Jesus prays for us to be. My question for you is; how far has God brought you and do you have any practical advice for believers who are considered mature by their communities and yet see so much more in Scripture but don’t know the next step to get there faster? I have been reading some articles where the viewpoint is that this is largely taken out of context as there are other scriptures saying we should “give honor where honor is due.” Also there are places where the apostles (again, a title) referee to leaders as father and others as brethren and sisters, etc. So in the light of us being Protestant and for the most part, only Catholics and some other Catholic emulating “Christian” denominations having this tradition, how should we refer to these men? I don’t want to be one to dishonor someone of a title they have earned, but I struggle with this verse. Also is the verse that says “not to even greet one who comes with another doctrine.” Given that we know the anti-Christ is from Rome and those who follow time as with him, should we just refer to them as ‘sir’ or ‘Mr.’ if we need to address them somehow in passing? Appreciate your ministry and for your response. The best way I could answer this is simply, to allow no man to take the place of God the Father. Isn’t the passage in Matthew instructing people to not assume religious titles to themselves and Lord it over others, and to be on guard against anyone doing this? The context of the passage surely seems so. When Tom Friess refers to “pastors” as “priesters,” I assume this is his line of thinking. This interpretation, by the way, is the only rational way of answering Romanists who question why Protestants think it’s okay to call their biological dad “father,” but not a priest. If I meet one functioning as a pastor I call them “brother” in addition to their first name. Others call them Pastor. I would not take a title to myself thought others have addressed me by functions which I do on occasion take on. God judges the thoughts and intents of the heart, I think each one of us needs to apply the words of Jesus individually and not worry so much about others. It is odd and note worthy that the RCC applies the name Father to all of their priests, though none of them are actually Fathers nor do they qualify for leadership in the church not having ever ruled their own house or had a wife. I think the RCC is directly implied here, also we need to look at the term as used in Judaea/Rome at the time Jesus gave the instruction for more insight. Allow me to respond to “Alabama may stop issuing state marriage business licenses”. That would be a very wise decision! First, there are no state marriage laws in the United States or U.S. Territory’s today. Why? because the Jewish and Catholic Supremes voided all state marriage laws. True, States still issue state marriages licenses, but they do so on their own accord; unlawfully so believing they are still sovereign (not bondwomen with privileges). Today, if their family court system has authority “post” supreme court vision licensed state marriages the matter will have to be tested in courts of law. Scenario: Let’s say a man or wife desires to dissolve their marriage, if one objects can family court legally dissolve the marriage. This question should have already produced lawsuits where the one individual claims a damage. If that happens they would win. Why? Show me the family court’s authority (jurisdiction) in their State Constitution? OK then, what jurisdiction does one file such a complaint? The County, the State Supreme Court, or Federal Court? This issue could very well lead to huge out of court settlements. There are no legal jurisdictions in the United States that can dissolve marriages today; only the man and wife have the (scriptural) lawful authority to do that. Marriages today might be considered common law, but if fact they are patriarchal by way (maintained by our families) tradition, the marriage ceremony is in effect scripturally founded. The bride and groom are married before the state document is signed by the officiant (state agent) and submitted to the county. Couples in America had two separate and distinct marriages, one with Almighty God, before His throne (if under God’s law); the other was to the State, before the law of man. They were playing the harlot, just like states church do today. Cesar’s preachers used the teach legal marriage was everything righteous and holy. Today, not so many. The Supremes did, having earned reprobates minds, they had no other choice. They left God’s marriages intact because they had no authority to nullify, and they dissolved all legal state business marriages between one man and one women. How? by nullifying State Constitution marriage laws altogether. Today those couples are no longer married to the State (in a state marriage business). They are no longer one-flesh with unbelievers, or sodomites, before the law of man. And … on top of that blessing, they received their children back! The state or “condition” of Alabama appears to be quite astute, not only concerning God’s marriage principles but of legal reality and its consequences, including potential financial impact in continuing to issue state marriages licenses. Ask yourself this question. You have heard of State children. Do State’s have children today? I say no, State’s no longer have children. If true then what about mandatory attendance in State public schools? …………..! See, few saw God’s hand at work here; most American’s have been taught that Almighty God (the Father, the Son, and Holy Spirit) does not intervene in the affairs of man, so they don’t expect such work. For those that know differently it was a sight to behold, a true blessing and gift, of restoration and preservation. Why He intervened is not a secret, it’s just not acknowledge (or taught) by society or in our State churches. Why? By agreement its unlawful for incorporated churches to teach truth, they must teach public policy instead! Fire is coming … Thank you for all your hard work. Hi Nicklas, listening to your Daniel study trying to understand the 70 weeks and 2300 days prophecies Daniel 8 & 9. In Daniel 9:26 the people of the prince that is to come are the Romans who destroy the sanctuary and the city Jerusalem in 70AD correct? So then is the prince that is to come refereeing to the Antichrist? Also in Daniels vision of Daniel 8 is it the Antichrist that is the fierce and mighty King that comes to power when the transgressors are come to the full. or the emperor of Rome in 70 AD or both. My take on that would be no, Titus the prince who came and destroyed Jerusalem was not the anti-Christ. The anti-Christ is the Papacy which rose from the grave of the Roman power he represented (the people). There are two powers (or horns) to concern ourselves with. One is the enemy without, and one is the enemy within. 2 horns of the same devil (if you will). The one you inquire about in chapter 8 is not the Papal power described in chapter 7. Greece had divided into 4 separate kingdoms represented by 4 horns. – The Kingdom of Pergamon (Lyssimachus’) was bequeathed to Rome in 133BC. Although history records that Rome replaced Greece, the Islamic Caliphate (much later) grew out of one of those 4 horns in the latter part of their kingdom. (Long after and not part of the sequence in Daniel 2,7.). Antiochus Epiphanes can be seen as the type and initial fulfillment but the secondary fulfillment is the career of the Mohammedan power. This is also seen in Revelation. Here are some references. The Saracenic invasion and the Turkish overthrow are indeed predicted in Revelation, for the fifth and sixth, trumpets are universally recognized as prefiguring the sore “woes” which were inflicted on the apostate Christian Church of the East by these desolating powers. But the Mohammedan conquests are there viewed in connexion with the Christian Churches of the East, and not in connexion with Syria and the Jews. Yet they stand in a most important relation to Israel also, and in this connexion, they are presented in [Daniel 8]. This short description below explains why and how Daniel chapter 7 and 8 are dealing with two separate entities and timelines. The link at the bottom is good for a detailed study. Daniel 2:4 to the end of Daniel 7 was written in a Gentile language, Chaldean (or Aramaic), while Daniel 8 to the end of the books resumes the use of Hebrew. The empires are Babylon, Medo-Persia, Greek and Rome; the principal antagonist is “the little horn” of chapter 7, which wages its war against, not the Jewish nation, but the Gospel professing Christian, and Protestant churches. The little horn is the dynasty of the Roman Catholic Popes, first at the head of a so-called “Christian” Empire, then finally confined to the little nation-state, the Vatican. Aramaic is the language of these visions. Then, with the switch to Hebrew, Daniel sees the same period of time not focused on the Christian Church and its strife, but on the Jewish nation. 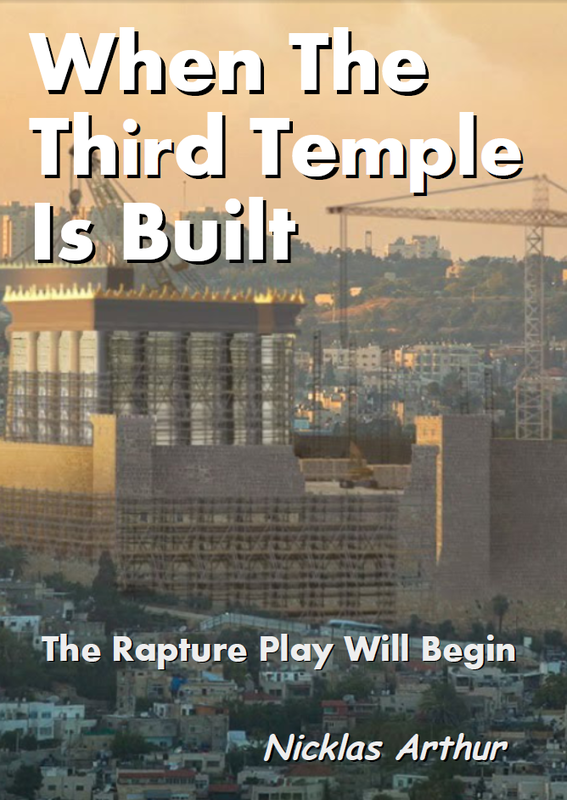 Here, though the time period, “2300 days” (verse 14), spans the entire time of the four Greek successor kingdoms, all the way to after the fall of the Byzantine Empire, and is marked by milestones of history relating to those Gentile nations, the main interest of this prophecy is none other than the city of Jerusalem. on the city and not its scattered population, is Jewish, not Gentile. So the language of this prophecy and the ones to follow is Hebrew. thanks Ken, could not have stated better than this. Hector, I do appreciate your zeal and desire to serve God. My advice would be to start by starting writing your own blog. You can start one free at wordpress.com – try publishing the first chapter of your book there. I will be you first subscriber. I would be glad to help in any way I can. please e-mail me accordingly – me@nicklasarthur.info – so I can carefully consider any request. please sign up for free pdf’s by clicking on the Free e-book tab. In one of your videos you asked ” why didn’t they bulldoze the Dome of the Rock when they had a chance?” you showed the bull dozer in the picture. http://www.beingjewish.com/unchanged/rebuild.html They are not allowed by Jewish laws of purification to even walk on that hollowed ground and many more reasons. Very interesting! 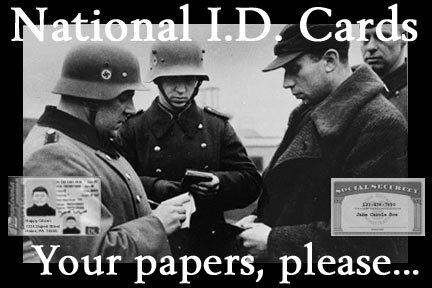 Now as then the Jews are stuck on all of their extra-biblical rules and regulations. Felt led, not lead! Lol. Also, am all the way in Wisconsin! On the border of northern Illinois. Hi Carrie, thanks for the note, I’m so glad that you are being edified and blessed, sending cash to the above address will be fine or checks for FirstAmendmentRadio here: http://wwfar.com/ChipIN.pdf. I buy multiple 50 lb sacks of seed grain to plant 6 acres for my critters every year (yields about 120 bales). I actually had buckets of grain once but finally planted them too, the seeds still worked after so many years – the Fathers Tech is awesome!. The live evenings were more difficult for me too, glad to be back to the live Wed. morning – look forward to seeing you there. The wheat and the tares grow together until the end! Cinderella is not in plane view for all to behold! The early reformers came out of the woman that rides the beast. The woman is a mother, her daughter’s protested against her at first. Did I answer your question? Hello Nicklas: I’m interested in Christ’s prophocy concerning certain worldy conditions that trigger His return, it appears the type of wickedness and evil He discribed concerning the world has come to fruision: meeting the requirements His second comming. No one seems to be discusing the scope of the matter, yet, the scripture is plain; heaven and earth – melt with ferbunt heat, etc. We live in a world that has become Sodam… And its destruction appears to be nearing. When the rainbow promise turns to fire. 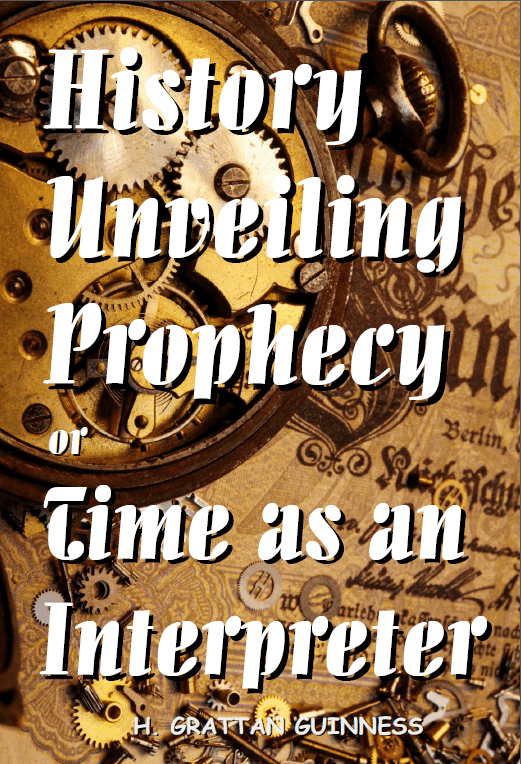 Has all other preceeding prophecies been fulfilled or not? Is fire comming soon? Please see my What Year Is It post to understand the timing. #1) What day of the 6 day creation sequence was Adam formed and made a living soul? #2) Where does the old Testament end and the New Testament begin in the context of the Bible? #3) What must I do to be saved? #4) Has the battle of Armageddon already happened? Hi Nickolas; I has promise to send you the oil of Oreganol p73 1-847-473-4700. North America Herb and Spice co. I could talk for hours how this produce had help people. But the proof is in the taste. That said, I would like to ask you about attending churches that preach the gospel and believe all other faiths are false yet still hold to the dispensation futurism is The Lord calling us out of these churches? I ‘m having no fellowship with christains who I believe they are like I was in deception yet loves the Lord and it breaks my heart not to be with them. What do you say? Thanks for your impute. I think you can have fellowship with any true believers. I was trying to understand how the year 6000 (and I fully accept that it is the “beginning” of the 7th Millennium) is the time of the Millennial reign of Christ. God’s laws have always followed the work for six days (which means one is still actually working for the entire 6th day, then rest/Sabbath on the Seventh Day (the actual “Sabbath” rest period). What (finally) helped me to understand your reasoning for ‘What Year is It? was the simple Table below, which may also help others to understand that the Millennium reign of Christ MUST be approximately around the year 2055, if we are indeed in or near the year 5945-5950. (God worked for 6 days, then rested on the Seventh/Sabbath). If we hold true to God’s immutable laws, then the following chart is true also. Thank you for this, however this comment would have been much better placed on the What Year IS IT page where those readers could benefit from it. I have a question about 2 Thes 2:4 where Paul talks about the future anti-christ setting himself up in the temple of God as though he was God. Questoin: Where is this temple? Is it spiritual or physical? If it’s physical which Strongs suggests, then wouldn’t that support the view that the prince in Daniels 70th week is the anti-christ? I’m almost on board with you in terms of the logic of 70 weeks being fulfilled without a gap, it’s just that there are other verses in the Bible that talk about a great tribulation and the man of sin setting himself up in the Temple at the mid point in the 7 years. I’ll continue to search the scriptures to support my view, which has gone more neutral, but I need to make sense of other scripture that goes against the 70th week being fulfilled. 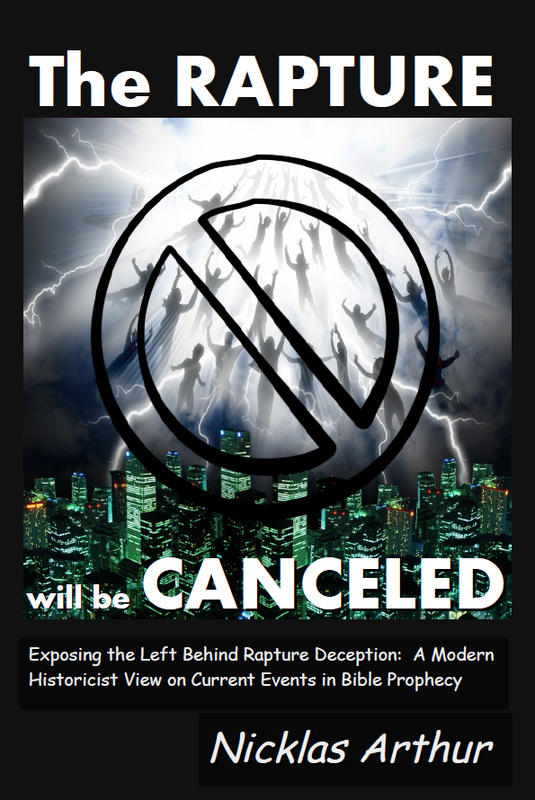 Revelation talks about the 7 year tribulation, which goes with Matthew 24, etc… Just started reading your book “The Rapture Has been Canceled.” (which, by the way, is a bit misleading. the “catching up/gathering together’ of the saints hasn’t been canceled…) Thanks. Chapter 9 has what you are looking for. Got it. Thanks. Makes good sense now. I have come a long way from pre tribber, to pre-wrath tribber, to post trib with a futuristic interpretation of Daniel to an understanding that everything in the 70 weeks is fulfilled and there will no longer need to be a temple for the man of sin to proclaim him self G-d. Now I need to gain understanding on what has to happen before our Lord Jesus Christ returns. I know you mentioned 30 some odd years before you think He returns. Where does that idea come from? Thanks! Daniel’s Seventy Weeks Challenge: Do you have the dates and why they are important to the prophecy. Not sure I understand the question. follow the link, there are related posts at the bottom which may have the answers you are looking for. JJ, It is not your account or number. YOU cannot cancel their number or their account. They refuse to cancel accounts. But you do have the right to repent and then as required by true repentance, cease and desist all use and activity associated with this evil system. If one is still involved in idolatry, covetousness, fornication etc. All of these must be forsaken in true repentance. His Holy Spirit will lead you if you are willing. very well thank you so much. this is very helpful. I dont know anything about “becoming sovereign” but I do know about accepting Jesus as my Sovereign King. Jesus said “repent for the Kingdom is at hand” So repent, enter His kingdom and do your best to become obedient to His Kingdom Laws with the help of His Holy Spirit and share the gospel of the Kingdom with others. Read the gospels so you understand what His kingdom is and share that with family, friends and strangers. Hey Nicklas. very interested in reading your book, but I ordered it 2 times on PDF through paypal and never received anything. The first time I thought I had made a mistake so I ordered it again. sent link to your email on the 20th, resent just now, check your spam box, let me know you got it, also paypal should’ve forwarded you to download folder when complete. Will surely study your blog deeply. I am also of the historicist school and would like to rebroadcast one of your sermons (perhaps more) on my radio station. Please contact me to grant permission. You have my permission to rebroadcast any broadcast in its entirety, with links to my site where appropriate. I am a listener to your programs and I really enjoy your truth telling no nonsense commentary to today’s life. Since last night I have been try to get onto you website and I cannot connect to firstamendmentradio.net. Are you updating the website? God bless and protect you in everything that you do. 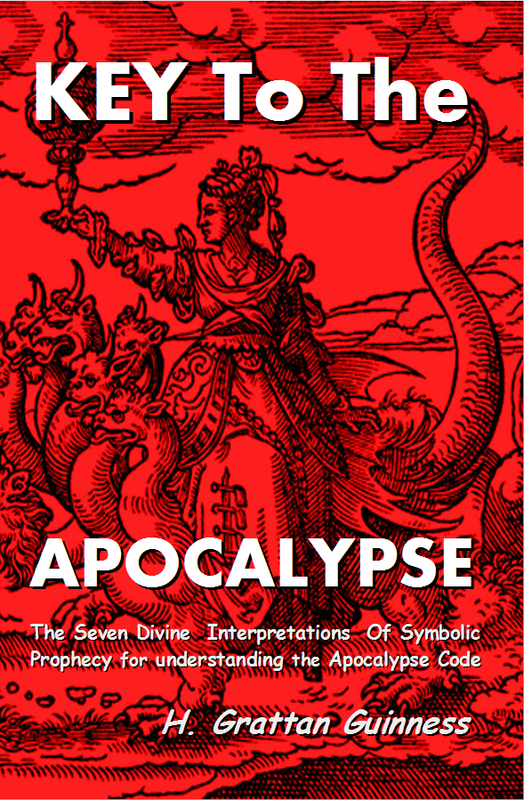 I like your book that you have been reading called final apocalypse. Only problem is that you find that it is a very deep book taking a lot thought. Would you be interested to know about Gods money? Nicklas, I have come to understand lately that following the “christian churches” and government of Canada (i live in Canada) is going against the will of Yahweh. I’m currently studying the bible and other resources that follow the same path as you. I do have all the marks (cards, driver’s license, loans…) and they are a sign, a proof what I have done . Have you legally left the system? If so, how do you remove yourself from the system? The Bible ascribes repentance. Treat those things as you would any other disobedience. See my travel document here: Notice of Right to Travel and Declaration of Repentance, perhaps you will find it helpful. The website you gave for paypal doesn’t connect. I still think you should have a Paypal open donate button on your specific site for flexibility. I think you are losing out by not having this. Anyway, i bought your book today at Lulu. Waiting for it to come to compare what i had learnt. About five years ago, the Holy Spirit set me a task to get a magnifier, a Strong’s concordance, to comb through Genesis. This was tedious. I had no computer and i still don’t have one. I listen to you on my smart phone. Anyway, when i came upon the word LORD, i was shocked to find that the name of God was YAHOWAH. I know we have one letter different: where i have an “O”, you have a “U” (and i am going to review again, for my tools were primitive), but i am glad to see someone come up with a similar conclusion of the Name. I wondered why it was not translated as is and found out that the Jews thought it too holy to pronounce, and so they replaced i it with Lord. Thanks for your eye opening lectures. Sister Marsha, thank you, I will look into the paypal smart phone problem. The name pronunciation “Jehovah” was probably more correct in the 17th century when you consider the Jeh sounded as it does in Hallelujah, and the letters u, v, and w (double v) have actually changed in pronunciation since then. Be sure to come back to my get-the-book page and write a review. Hello Nicholas I must say I am kinda relatively new to the historicist thought but once I decided to look at this angle a few years back its like a floodgate was opened up Praise God. I do have a question though. I am having a decent conversation with a preterist on my youtube channel and its going very well I want to share what he wrote and my first response and his latest response. Im kinda stuck on how to answer his second question as if he seemed to ignore all the other points i made in my original response here it is. Jesse, Thanks for your time and serious consideration to stand firm on an issue. However, the historicists view clearly contradicts every time statement and audience relevance passage in the bible. I’m a full preterist, so how do you, as a historicists, answer the time statements and audience relevance question? For example, YAHWEH gave us book ends so that there is no mistaking the timing – Rev. 1:1 and 22:12 & 20 says this ONE revelation, in it’s entirety, will happen very soon! That’s the entire book written in the 1st Century before 70 A.D.
It’s been 2000 years and that makes God out to be a liar! So, let’s start there. Thats a good question and This is how I feel on the whole time issue. The phrases I come quickly and I am coming soon as you have stated I personally believe as that we should look at how God views time for he is long suffering is he not? Regarding the “….. things which shall be hereafter” are we to assume that the hereafter concludes at 70ad? that would clearly be putting Jesus Christ (God) in a box especially when he states I am the beginning and ending, alpha and omega etc. wouldnt it? I also wanted to make clear and I apologize if I didnt.that just based on the context of the videos I produce here that although I stand in a historicist mindset doesnt mean that I totally agree with every ounce of doctrine that comes from other historicists for example SDA could be considered historicist and I agree with some of there interpretations or doctrines but there are some that I totally shun like the 2300 days and the little horn of daniel 8 being the same as the little horn of daniel 7 and the 2300 days being fulfilled in 1844. Now you as a preterist probably have a somewhat similar belief as I do in matthiew 24, mark 13 and luke 21 but probably where we would differentiate is I believe that certain passages I believe must be taken as duel types of fulfillment in context with typology where you and correct me if I am wrong would take those passages to mean that they all had a literal one time fulfillment in 70ad? one thing I know we both agree on just from your statement is the aspect of dispensational theology. +jessevassil Hi Jesse, thanks for the response. The whole question on how God views time to nullify time statements HE GIVES is absolutely unbiblical. I say this kindly and with serious hermeneutical proof. For example, show me anywhere in scripture where near means distance future and distance future means near??? I’m telling you it doesn’t exist! Here’s another one, every single 1st Century believer were given a soon expectation of the end. Yeshua and The Apostles were crystal clear Their Generation would witness the end of the age. Did you know YAHWEH warned The Jews concerning misrepresenting HIS time statements when judgement is eminent? Read Ezekiel 11:2-3 and 12:22-28. So is YAHWEH playing games? No, the context is crystal clear and the time statements stand firm. I’m not ignoring the rest of your response, but this point of the discussion is the only relevant ground to find truth at this time. What is your response? Hi Nicklas. I really enjoy your presentations and I agree that the 70 weeks of Daniel has been fulfilled just as you explained. Just goes to show you how enormous the deception really is as so many Christians are going to be looking for the false prophecies they’re been taught to come true instead, like rapture and the signing of the peace treaty by the antichrist to signify that Tribulation has started, and so on. When they’re not “taken away” as believed, many will lose faith and become lost. And for this, I pray. Anyway, I wanted to let you know, if you haven’t found a publisher for your book yet, I can suggest one for you. They’re called “Booklocker.” You can go to http://publishing.booklocker.com to read all the information there about them. I am an author who has published a book with them (they’re online publishers, publishing Books on Demand in hard or soft cover copies, plus Ebooks like kindle and more) and I think they’re service is great. Anyway, take care and I will keep viewing! Hey i came across your video: America Beast 2 and was wondering if i could share it on youtube and show others, thanks. You thought it was the Romans if I recall. Also…can I donate via Paypal? If the Pope’s are the Anti-Christ, then those who’s place they took, the Roman Caesar’s had to be taken out of the way. I thought the restrainner was lawlessness itself. From the midst of lawlessness the lawless one is birthed. Just like the body prevents birth until its proper time. From altering human DNA to unjust scales, undeclared wars, and who knows what else they ar brewing that is contrary to God’s natural law. Birthing pains of Mathew 24. Nicklas, Listening to one of your broadcasts the other day you said how much you like coffee. I hope the coffee you drink is organic because regular coffee is one of the most toxic foods we can eat. It is heavily sprayed with pesticides and chemicals. Thought I would share that with you.Shalom! I’m always interested in your opinion and listen very intently as often as possible. I was wondering if you’ve ever heard of Steve Quayle? I listen to him from time to time as he speaks very profoundly on end times, biblical issues, survival and the like. I don’t particularly trust the shows he is invited to speak on but he alone could be one of those “voices in the wilderness” however I just don’t know what I think yet. Was just wondering if you’ve come across his material in your researching. Thanks. Love your shows by the way. Peace. yes I have known about Steve since the turn of the century. He is very popular and a good business man. I think that simply because of my view on Nephilim he would have nothing to do with me, that would not be good for business. Great Bible study today (Apr.09, 2013) in Matthew 27, Nicklas. 2Th 2:4 KJV – Who opposeth and exalteth himself above all that is called God, or that is worshipped; so that he as God sitteth in the temple of God, shewing himself that he is God. answered in PRTV 101 hour2 @about 28 min. Hi Nicklas, Listening to your Prophesy Reality show on CD from a couple of weeks ago I believe you missed the mark when you said Yahushua broke the letter of the law by healing on the Sabbath and picking grain in the fields and so on. I don’t believe He ever broke the letter or the spirit of the law otherwise he would not have been our PERFECT sacrifice. I believe the Scriptures show us that the scribes and pharisees had made there own rules for Sabbath keeping that were not biblical and Yahushua was showing us the truth about Sabbath Keeping There are examples in the Scriptures of what to do and not to do on the Sabbath and I have not found anywhere what Yahushua did was against Elohim’s Law. I guess the point, or question is whether it was necessary for Jesus to keep the Letter of the Law in order to qualify for the necessary perfection that was required… Or is the Spirit of the Law preeminent? Nicklas, on your show you ask for folks to drop you a message and let you know we’re listening. Todays show was timely for me as Ive been troubled on a particular matter and your words helped me see that Ive actually been struggling with faith, so a hearty thanks out to you , and I’m listening. Hello Nicklas, I just recently found your site. I am curious about the various versions of the Holy Bible, having been translated so many times, versions, or the centuries. I recently aquired a copy of the Holy Bile in Modern English, by Ferrar Fenton. What do you think of this particular translation? I’ve read his works were translated directly from the original Hebrew, Chaldee, and Greek manuscripts and are very different than the King James rendition. Will you send your reply directly to my email address? Thank you so much. God Bless. Nicklas, I am listening to you,,,,,, and I pray for your ministry, keep up the good work! i subscribed to your blog.. but still can’t seem to access the video (which say its private) about america… peace. I find your views and explanations very interesting and would like to get more information, as well as, perhaps to donate to help support your work. However, as I am in Australia, to send a check, a significant fee shall be charged by the bank for the exchange (over here, I would be charged a $15 dollar fee to deposit even a $10 USD check). My question therefore is, do you have a Paypal account through which I could transfer the funds? Cross the Border archive of the 2nd hour Friday 07 Sept is cut short at about 33 minutes. hi am kamor frm sudan am listening to the radio programme but my internet shaking, i love hearing God words and i want a prayer for my life because am a footballer and i want to succeed in it. Thanks and God bless. I enjoyed listening to your Wednesday program on the re-broadcast, wish I could catch it live. I heard you say if you have any question leave it on the web and you would answer. Here is my question and it may sound silly to some, ” If your loved one died and went to heaven would they be able to look down on you?” i believe they could not because it would be tortures not being able to help your loved one. Is there anywhere in the bible that answers this question? I’m a subscrber, and would like to watch one of your protected videos. How can I get the permission? with the love of our Saviour the Lord Jesus Christ!! Brother Michael, I understand the dilemma and even agree with you, however there may be those who falsely appear to be saved to even themselves as well as others, that would be my point. 5 and 6 sounded when judgement came to the eastern half of the Roman Empire and to remember that it was the last empire of Daniels vision, Thus the seventh will sound as 7 is completeness and gives us the full victory of Jesus Christ over all the opposition. This is the general historic interpretation. The opposite of what you say is true. If one must have the number to “buy, sell or trade” – that makes it an economic mark, not a worship day mark. The sunday worship doctrine is based solely on conjecture, a trademark of SDA. i know what kind of a reply i’ll get but that’s ok. i know this world isn’t my home. i’m glad it’s not Heaven. i’m glad that North America[the USA & Canada] isn’t Heaven otherwise i wouldn’t wanna leave it. i’d turn into a pillar of salt for looking back that’s for sure. i pray however, that God will allow America & Canada to become 2 safe havens for Bible believing born again Christians that will be fleeing the coming persecution & martyrdom from across the globe. maybe it’s too much of a pipedream. if that’s the case then sobeit. the safest place will always be right at the center of God’s will. Iƒrael was in Egypt 220 yeres,which remaine from that time. TREATISE ON STATE MARRIAGE LICENSE.pdf ? I just recently picked up your show again, and I’m enjoying listening to some of your older studies. (mainly the study you did on book of revelations.) audio 7A I believe you made a comment about the book of enoch and how its a fictional book. I’m trying to start my own research (Lord willing) on wether it is or not, and wanted to know if you had any insight on this topic that could help in the research. It was so long ago that I looked into it and came to the conclusion that it is a pseudo biblical work in keeping with the gnostic gospels etc. and not of the Enoch of the OT that I don’t have anything at hand, but would be interested in what you find. I recently came across your teachings on sermonaudio and I am interested in listening to more videos, how can I? Please email the WHAT YEAR IS IT link. I listen as much as I can. I have recently found your radio show…and became a quick listener to first amendment radio. I am listening to your show, and over heard you speaking about the 36pg study of the name of God. it would be nice to read up on that… so here’s your inspiration! Just wondering, what ever happened to Randy Lee (Matters concerning His Lawful assembly)? Do you have any current contact info for him? HAVE not heard from or of them in years. Hi Nicklas, I have had the pleasure of listening to some of your shows recently. I usually tune in to Al Adask’s show particularly on Wednesday nights. I am one of several who have been working on Dennis Craig’s documents. There have been some recent discoveries involving some errors in the docs. We had mentioned it to Dennis and Al, but as you may have heard from last night’s show, it is quite apparent to us that Dennis has placed himself in a very peculiar situation. It actually seems that Dennis has possibly, with malice, placed so-called traps in his docs. We don’t believe that. We believe he had made some errors, and rather than admitting so, he decided to go another route. We are not 100% convinced that this were his true intentions, but it’s very difficult to come to another conclusion. Having said all this, I happened to notice recently a response from you to him(Dennis) on Al’s website, along with the grace that you showed by sharing your travel document, Thank you very much for that btw! My question to you, if you don’t mind sharing is, have you been harrassed by the “polic-e enforcers” while utilizing this approach? Thank you very much Nicklas for voicing your thoughts, they are most welcome, and Lord bless you and yours, ken. Brother Ken, Last time I did get stopped, about 7 years ago, I got the distinct feeling that the CHP officer was very convicted, and though I was actually exceeding the speed limit quite unintentionally, he simply asked me to be more careful next time and let me go at that. They dont really bother me and I dont give them any reason to, I travel at the suggested speed and even wear the lap belt, because I dont want them to be offended-I believe that The Word of God requires me to comply with their rules as long as their rules do not require me to break the Law of His Kingdom. (Psa 36:7) How excellent [is] thy lovingkindness, O God! therefore the children of men put their trust under the shadow of thy wings. (Psa 63:7) Because thou hast been my help, therefore in the shadow of thy wings will I rejoice. I have found a hiding place, and it is in plain site. (Psa 32:7) Thou [art] my hiding place; thou shalt preserve me from trouble; thou shalt compass me about with songs of deliverance. Selah.